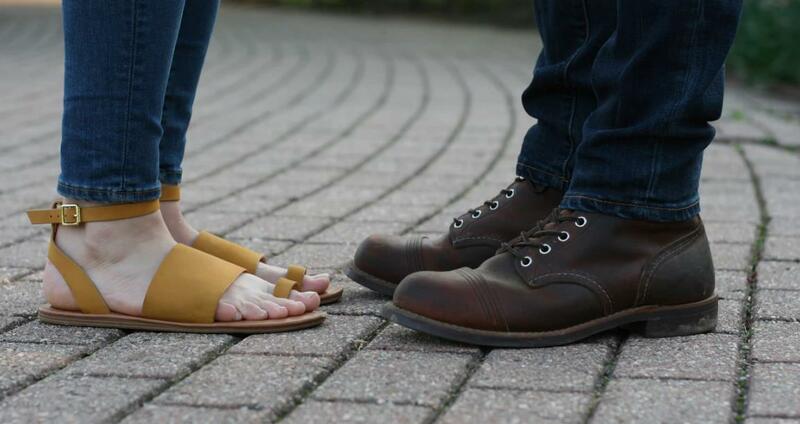 Since weather in Dallas is fairly warm throughout the year (and hot for most of the year), you probably have a good selection of sandals in your closet. 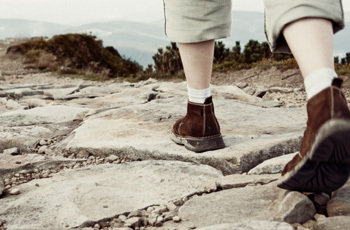 But there are several problems that can cause you to want to keep your toes hidden inside a pair of close-toed shoes. One of them is nail fungus. Yellow, broken nails aren’t something that anyone wants to show off, at any point in the year. If you’re struggling with nail fungus, our Dallas podiatrists can help you out. This blog will cover the causes, symptoms, treatment, and prevention of nail fungus. The root cause of nail fungus are microscopic organisms that cause an overgrowth of fungi. This can occur in, under, or on the nail. 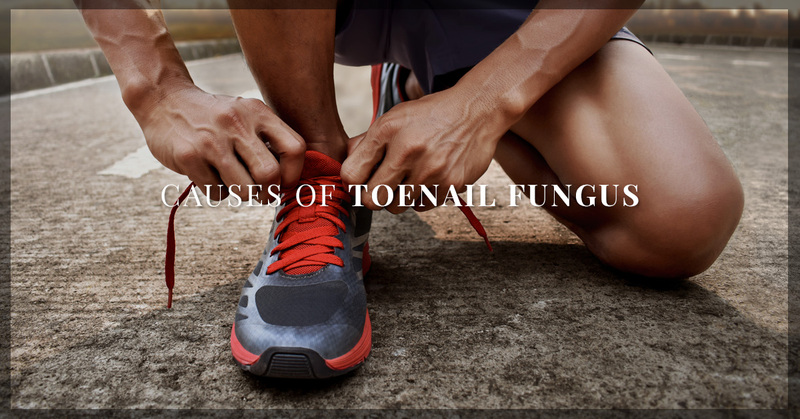 Your toenails more often develop fungus because they are usually inside your shoes, where the warm environment allows fungi to thrive. The same type of fungi can also cause jock itch, athlete’s foot, and ringworm. Before you sit down for a pedicure, ask the salon how they disinfect the tools they use and how often. Emery boards and nail clippers can spread nail fungal infections when not properly cleaned. Walking barefoot in public: try to avoid walking around barefoot when at a public swimming pool or in a public shower. Injury to the nail: acute or blunt trauma can cause a fungal infection. This could be when an infection occurs again and again; when you wear tight fitted shoes, for example. Or a blunt trauma can cause your nail to be more susceptible to an infection. Circulatory issues: Those with diabetes have a greater chance of developing an infection. Athlete’s Foot: Because this condition involves the same fungus, one can trigger the other. Some of the more common signs of nail fungus include an odor from the foot or nail, a nail that has become distorted and may lift and fall off the nail bed, or you may notice the nail has thickened or has become brittle. The nail often has white or yellow streaks, which is called lateral onychomycosis. The corner of the nail may begin to disintegrate, or the nail may fall off completely. There are several home treatments available, but it is best to seek professional treatment from a podiatrist. Over-the-counter medications can help relieve some symptoms, but they generally don’t last long as the infection returns. By scheduling an appointment with a Dallas podiatrist, you can receive a prescription oral antifungal, which will eliminate the infection completely. There are also topical treatments that can be brushed onto the nail, but this method is not often very effective. Medication may need to be taken for several months before the infection is completely cleared up, but this will depend on the cause of the infection as well as the seriousness. Spray your shoes or feet with an antifungal. If you come in contact with infected nails, wash the area as soon as possible. Thoroughly dry the area between your toes after a shower. Avoid getting a manicure or pedicure from an untrusted salon. Nail fungal infections are preventable with the right care and knowing how they occur. If you have any questions about nail fungus or if you’re in need of a prescription medication, the team at Allcare Foot and Ankle Care strive to provide thorough and trustworthy care. Get in touch with a podiatrist today to schedule an appointment.